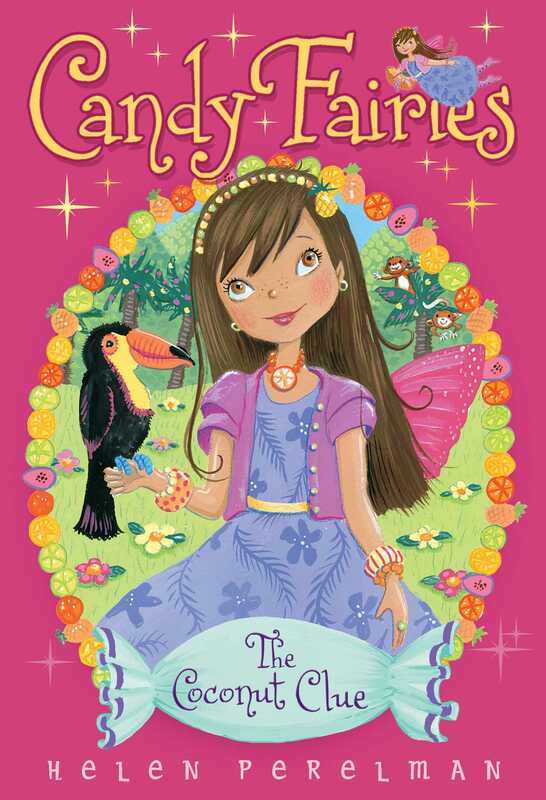 The Candy Fairies go on a gummy-tastic adventure full of flavor when they discover a tropical lagoon—with a tropical treasure! Raina the Gummy Fairy wants to discover new flavors for her gummy candy. On the far side of Gummy Forest there’s a lagoon where she finds tropical gummy flavors that she has only read about—pineapple, mango, and tangerine! But how are these yummy flavors made? Is there a hidden secret? The fairies start to harvest the new treats and notice signs of some ancient artifacts. Could they be the key to these tropical treats? Raina the Gummy Fairy licked her lips. She was looking at a ripe orange gummy tulip. The flower was the most delicious color and shape. “Sweet-tacular!” she exclaimed. Her basket was overflowing with freshly picked gummy flowers. “It’s been a good season for these,” she said to Blue Belle, her gummy bear friend. The bear nodded. Raina took good care of many animals in Gummy Forest. “Let’s both have one,” she said with a smile. The burst of orange flavor in her mouth made her grin. Berry landed next to Raina. She was dressed in a beautiful purple-and-pink dress. Berry always dressed her best. She had all the fashion sense that Raina didn’t have! No one could whip up an outfit like Berry. Raina handed her a grape-flavored gummy tulip. Raina had already given a bouquet to the ruling fairy princess and her husband. She loved visiting Princess Lolli and Prince Scoop at Candy Castle. “I dropped off a basket of flowers for them yesterday,” Raina told her. She reached into her bag. “Prince Scoop gave me this.” She showed Berry a beautiful book with gold trim.